Hiring a professional "stager" to prepare your Indianapolis homes for potential buyers can be expensive, but if you know some tricks, you can make your home very appealing to potential buyers. We are going to give you a few tips how to improve your Indianapolis Real Estate with very low investment. If you are selling your Home in Indianapolis, by staging it properly you will reduce a listing’s time even up to 50% and take a maximum of your property. Replace old items with new ones. It is important to know that too much furniture will make your space smaller and it will contribute to cluttering of your Indianapolis homes. Minimalism is popular everywhere in the world. You would be surprised how bigger your home looks like, just by getting rid of some excessive old furniture. By repositioning furniture into cozy conversational way, your dayroom will benefit in both ways: visually and practically. It will make your place look bigger and it will also make your space more user-friendly by allowing your visitors to walk freely. Have you home be full of light. Make sure to have variety of lighting such as desk lamp, dayroom light stand, kitchen counter light, overhead light etc. Your home in Indianapolis would look more appealing and welcoming if you bring enough of lighting to it. Would You Invest in a Land or House in Indianapolis? The Indianapolis real estate is very much attractive for those investors, who don’t have a big piggy bank and want to invest in an area where the real estate market is comparatively low as compared to other areas in the United States. The real estate housing sector always has a discount offer on various houses and commercial lands that are up for sale. Another best thing about Indianapolis is that it has an attractive and lively community for people to live. Numerous amenities are available to the local residents along with some great neighborhoods including Downtown, Southport and Greenwood. Real Estate market in the United States has been bourgeoning due to world-wide desirability and world-class commercial, communal and tourist’s facilities available in different states of the country. Over the past few years, numerous states within the Unites States have flourished to be on the top of the list for being the key place for foreigners, businessmen and tourists. Indianapolis is the capital city of Indiana. Being one of the most crowded cities, Indianapolis is known as the best real estate markets in the Indiana. According to the recent real estate surveys, the average or median asking price of homes there are around $140,000 to $165,000. So, comparing the asking median price of the current week with that of the last week, there is a slight decline of 0.4% or $625. Well, it will be around that price in the coming week as the major neighborhood attractions include that of the Foreign Square, Pine Ridge Estates and many other demanding localities. The Indy Home Pros Team at RE/MAX Advanced Realty was recently honored as the #1 Selling Real Estate Team for the State of Indiana for Commissions earned and Transactions com pleted. The team has been recognized as the leading team in Indiana for the past 3 years. The Indy Home Pros Team covers all of Central Indiana. Call 317-298-0961 to speak with one of Indianapolis Realtor. Real Estate market Indianapolis is the capitol of Indiana. According to the statistics, our city has slightly less than 800,000 residents. If we are looking from larger perspective, this city is ranked 13th on the list of largest cities in the States. City is known for many racing happenings and many lovers from around the country and even around the world love visiting this city and attending sports events. Counties such as Hamilton and Johnson have experienced modest and steady growth of real estate investments during the last decade. If we take a look at the current real estate market growth, we can freely say that Hamilton itself stands for the fastest growing county in the State of Indiana and even the whole Midwest. State of Indiana itself shows modest overall growth. City of Indianapolis has been listed by many media means in the past. CNN Money greatly presented city of Indianapolis as the city with a great future with a local economy that grows faster than national average. Furthermore, Forbes Magazine spoke about this city in a very bright light, by placing him on the top 10 list of the best cities to purchase a Indianapolis home in the United States. All sellers have in mind just one thing - how to sell their home at the highest possible price. We are not the only one trying to sell the Indianapolis homes. As a matter a fact, each neighborhood has several houses for sale like the one we do. Competition is not always a bad thing, especially if it is healthy. Take a pen and paper and go outside of the house. Write down everything that you would like to change in your garden. Old baskets should be replaced, chairs repainted and some sprinkles fixed. Take a walk through your home and try to notice all the things that you would otherwise notice if this is your first time visiting this place. We all get use to our living environment, so we even no longer see old, rusty, broken things around us that will decrease overall value of the property even if those things are not going to be sold with the house itself. Residents of Indianapolis have noticed declines in unemployment rate, which further produced continues growth of Real Estate market. We have great statistics made my Metro study – known as national data firm with the largest database of Real Estate matters in the country, which confirms our belief. 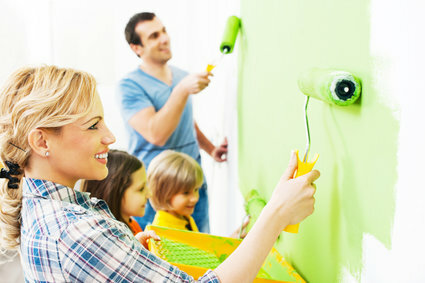 Just in the third quarter of the last year more than thousand new home projects started. That number, from what we remember, has not been reached since 2008, right before recession. On the other hand, some of The Metropolitan Indianapolis areas are known as affordable great investment. “Carmel” has been ranked as forth most affordable for families to live in, according to the National Association of Homebuilders. Families and investors that love more upscale parts of Indianapolis are able to choose more expensive properties. Carmel Indiana real estate market is known as a fast growing and very progressive place located slightly north of Indianapolis. For all new investors and family home buyers, investing or moving here means becoming a part of strong community where thousands of residents live. With many public and private educational institutions, restaurants, beautiful parks and upscale art galleries, this small community is perfect for raising the children. The place is also well known for its’ live music events which many people from Indianapolis love to attend on regular basis. Carmel Indiana real estate market took a part in media. This place became more popular when CNBC put him on the list of the best cities for the families to relocate to in America. CNN ranked this beautiful community as the 14th on the list of the best places to live. If you are looking to relocate to nice and peaceful place, we would definitely suggest that you should check out homes for sale in Carmel. With population of 80,000 residents, this place can proudly say that unemployment rate isn't even half of the average in the United States. If you want to remodel your home by taking a loan, make sure to spread payments according to your paying off capability. After you decided that it’s time to look into some home improvements as well as upgrade of living environment, you can do so in many ways from bathroom repairs to adding an extension to your current space of living.